JSN Nuru - osCommerce template from the studio SmartAddons. 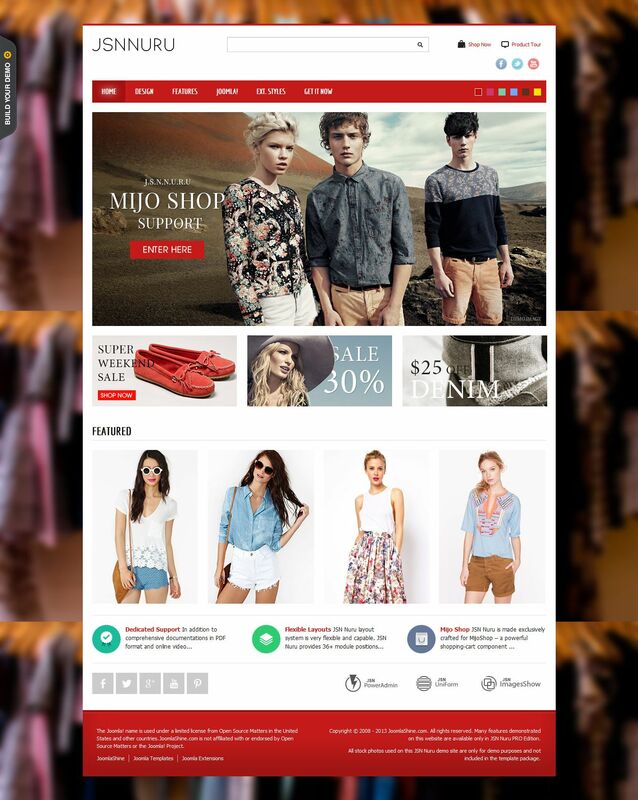 The design is well thought out, perfect for a site about clothes, there are things which especially attracts attention. First of all, clear content. The second thing is a unique stylish and colorful images slider with fashion models and girls, it is sure to attract the attention of visitors. This is certainly a feature JSN NURU, which makes it different from other projects of the same subjects. Plus, it is designed based on visits to phones and tablets and looks good on all modern devices. Your site can easily find on the Internet, thanks to optimization for search engines.